Life inside a book: wouldn’t it be nice? I can’t help but think life would be better if we lived inside the universe of a novel. Probably not Game of Thrones, though dragons are pretty awesome, though still: how amazing would it be to practise magic or shoot lightning bolts out of your fingertips? That last part—sadly—is pretty irrelevant to my point and this article. Some of you may have heard of the best-selling Vampire Academy series by Richelle Mead—it recently also became a film (one I am particularly upset with. I mean, seriously. What is up with filmmakers ruining perfectly good books?). Calm down, I’m not writing about Vampire Academy. But I am going to write about Richelle Mead—sort of. 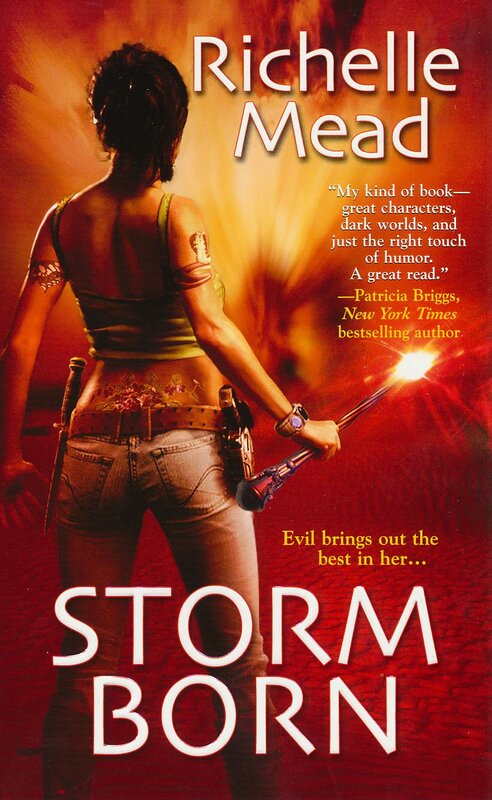 Richelle Mead is a brilliant author, and has written some of the best material I’ve ever read. She also happens to be the one who ignited my passion for writing and all things wacky. Sadly, her adult novels—which I’d argue are some of her best work—are largely unknown. Her most recent venture is the mind-blowing Age of X series, which is set in a futuristic world nearly destroyed by religious extremists who unleashed a deadly virus. Obviously, the deadly virus part is bad. But how she describes society adapting to overcome this danger is truly remarkable. Gameboard of the Gods, the first instalment in the series, is mostly set in the Republic of North America (AKA RUNA). In this society, religion has all but been extinguished, thus eliminating religious conflict. Gene pools have been rigorously mixed in order to fight off the disease before a cure was created, so there is no racism or underprivileged minority groups. Gender equality has finally been achieved, as well as equal pay. RUNA also has strict birth control regulation—citizens are embedded with a contraceptive implant until the age of 20, where they are able to conceive up to two children. If citizens are able to prove they can financially support their family, they may be allowed up to four children—though strictly no more. This removes many issues we experience today, such as teen pregnancies, childhood poverty and a population that is too large for the Earth to possibly sustain. Education is also strongly embedded into RUNA’s culture, with a year of compulsory tertiary education for all students. I understand some of this stuff is pretty controversial—particularly the control of procreation. I have had many discussions with friends about this; do people have the right to choose? What are the consequences of this? I fully support a person’s right to choose—within reason. This policy is nothing like China’s disastrous one-child policy, in which 400 million births (mainly female) were prevented. There is no gender inequality in RUNA. And proving you can support your children isn’t paying for them—it’s not elitist, it’s logical. It encourages parents to first further themselves (and the country) before they procreate. In Australia, the average couple has 1.7 children—four is a lot. This issue isn’t about control; it’s about sustainability. The Earth doesn’t have enough resources for our growing population, and it will be the poor who suffer. Whether or not you agree with this strict kind of control, you have to admit they solve many issues with a few simple steps—steps that allow society to flourish. The needs of the many should outweigh the needs of the few—somewhere along the line, I think we’ve forgotten that. I know RUNA isn’t perfect. There are a lot of issues that haven’t been addressed. But you do have to admire the superior—in theory—society. We could end world hunger, end gender inequality, end religious wars (mostly). It sounds great until the banished gods return—with a vengeance, I might add—in a power-scramble for followers. It’s called Gameboard of the Gods for a reason. But that’s beside the point. My point is: RUNA sounds great. I would gladly live there, and I think we could learn a lot from fictitious worlds like this—admittedly, with some modifications. Someone should notify the politicians immediately. This entry was posted in Geek Culture, Rants, Reviews and tagged #ItBeginsWithZ, #VAMovie, #VampireAcademyMovie, Age of X, Authors, banishment, books, Even Redheads Get the Blues, fantasy, futuristic, Game of Thrones, Gameboard of the Gods, gods, humour, rants, religion, review, Richelle Mead, RUNA, series, urban fantasy, VA, Vampire Acadmy, vengence.